One might ask, “Why would the happiest place on earth be haunted?”. Well, in my opinion, the answer is an easy one. Why WOULDN’T one want to spend eternity in the happiest place on earth? Every now and again Maine Ghost Hunters offers an opportunity to investigate with our team on one of our meetup.com outings. 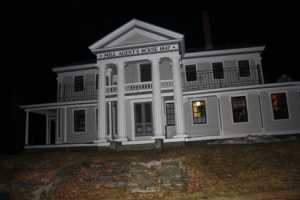 So far, this October, we have offered the unique investigation experience of spending time in the Mill Agent’s House in Vassalboro, Maine for an overnight investigation in October. If you would like to join us, register on our meetup.com site and check out the details. The Mill Agent’s House was one of the season finale featured stories on the 2010 season of A&E Bio Channel’s “My Ghost Story” which ran this past summer. Our team has pulled some impressive evidence from this location and the owner, who has been gracious enough to allow us to bring our meetup group to his home, has piles of evidence and personal stories that have been collected over the years. We went into The Henryton by way of the train tracks today. The > walk was long, hot, and a wee bit sticky. On the way in we realized > we forgot to bring water. Wonderful. 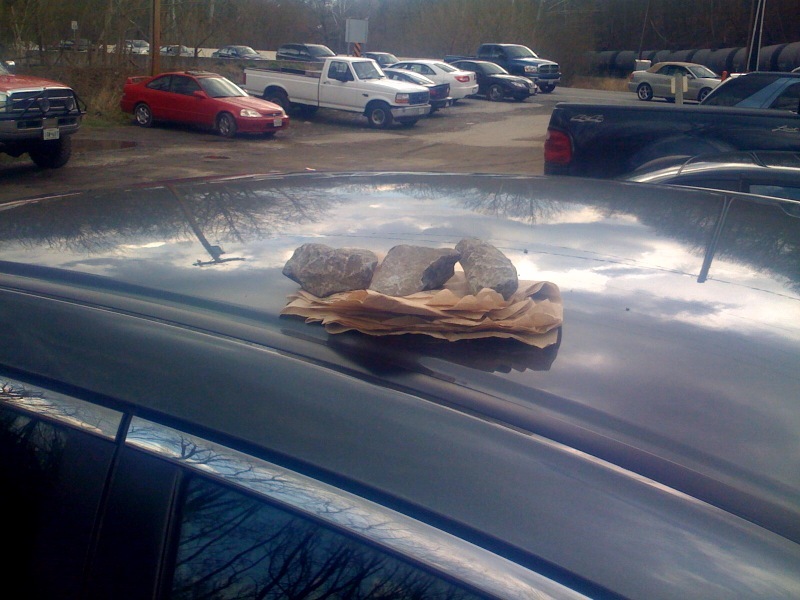 And on the way out we realized I (Kat) may have forgotten my iPhone on the roof of our car. Ugh! Tony said it wouldn't be there when we got back but I thought there was a possibility there are still some good people in this world.When we got back to our car we found this. My iPhone wrapped in napkins which were weighted down with rocks so people wouldn't see it and want to steal it. I don't know who you are but thank you. From the bottom of my heart… You did a really nice thing for a stranger and It's not unappreciated. Pay it forward starts today (again, of course).